Park West Gallery continues its 40 year tradition of connecting people with artists and fine art by inviting you to visit our new web site for artist Linda Le Kinff. 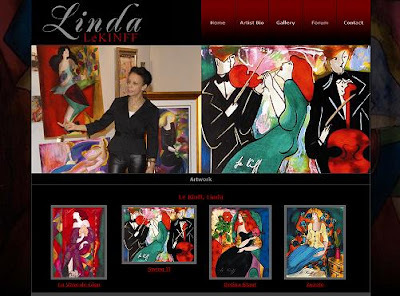 Park West Gallery's new Linda Le Kinff website features an updated biography of the artist, an online gallery of Le Kinff's artwork, YouTube videos and a forum for guests to share their thoughts about Le Kinff and her art. Explore the new Linda Le Kinff site located on the web at http://www.parkwest-lekinff.com/. Excellent, a great improvement, hopefully Park West will be revamping all artist web pages to be as inviting. The new Linda Le Kinff website is wonderful.